...and I have to say goodbye to yet another amazing senior class. It has been a fun year with our Beatles Themed concert in the fall, hosting Mid States Conference Choir with Dr. Runestad, and hosting, for the 3rd time in O'Neill, the Young Americans, The winter and spring concerts were a blast and DMC at West Holt was successful, despite some odd disappointments. Many choir members sang and danced in the spring musical, SHREK as well. Vionne Trizila - YA New Kid! The Young Americans have visited O'Neill three times now, most recently last November. One of our own, Mark Vavra, and 4th year Young American was the technical director for that tour. It was great to see him again! Another O'Neill student will be joining the elite performers in the Young Americans this coming fall. Congratulations to Vionne Trizila on your acceptance to The Young Americans College for the Performing Arts. You will do great things! Congratulations JH Choir, HS Choir, and Jazz Choir on an amazing concert last night! You performed with class, flair, and beauty. I am very proud of your performance and all that you have accomplished this semester. You are truly special young men and women. Special congrats to the following students on their awards! Every student in my choirs deserve awards and I am proud to be your director and teacher. Congratulations to my choir students on a great day at DMC last Friday! All ratings were superiors and excellents. The choir's performance was outstanding despite the less than deserving rating we received. Congrats Jazz Choir on your superior rating and state medal! Thank you all for your hard work and willingness to take on solos and duets for DMC this year. I am very proud of each and every one of you! Thanks for a great school year! Monday, April 25th starting at 7:00 pm in the OHS gym - O'Neill High School Spring Music Concert and Activity Awards Night. Come and hear the music, congratulate our fine arts students for their accomplishments and have a great time! The district music recital held last night in the High School lecture hall was probably the best we have heard in years. Hats off to our music students who have spent a great amount of time and effort in preparing their pieces for DMC. Wonderful performances everyone! A big thank you to all of the parents and relatives who attended the recital. That was an amazing turnout! Thank you for supporting our students in music! Thank you so much to everyone who purchased singing valentines from the High School Choir! We raised over $500 this year and enjoyed delivering! Thank you for supporting our vocal music program here in O'Neill! Above pictured students: Savannah Otto, Makenzie Petersen, Aleigha Holz, Vionne Trizila, Blair Langan, Grant Johnston, Blake Johnston. 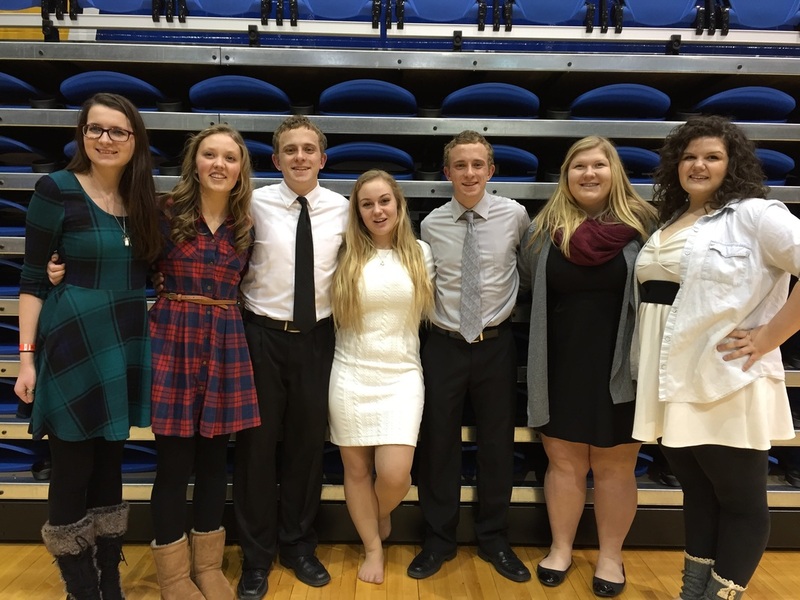 These students were selected for the Honor Choir, Festival Choir and Women's Choir comprised of over 700 students from across Nebraska. The choirs were directed by UNK faculty and the much sought after Jing Ling-Tam, Professor of Music at the University of Texas at Arlington. These students had a wonderful time working and playing and putting on beautiful performances. Congratulations to all of you! 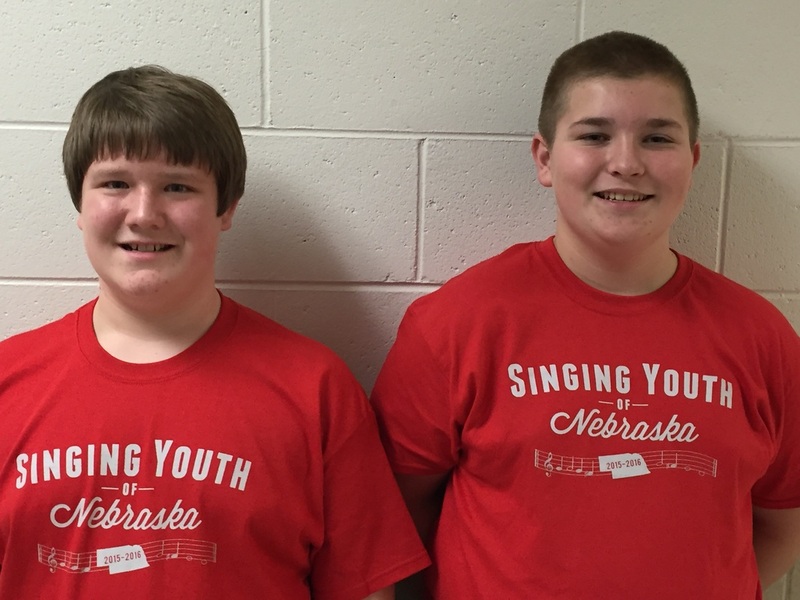 Samuel Carstens and Christopher Jennings joined 150 students from across Nebraska in the Singing Youth of Nebraska Honor choir held in North Platte on January 23rd. The workshop and concert were directed by Dr. Bret Amundson, the Director of Choral Activities and General Education at The College of St. Scholastica in Duluth, MN. What a fun day and an amazing concert! Congratulations Sam and Christopher! 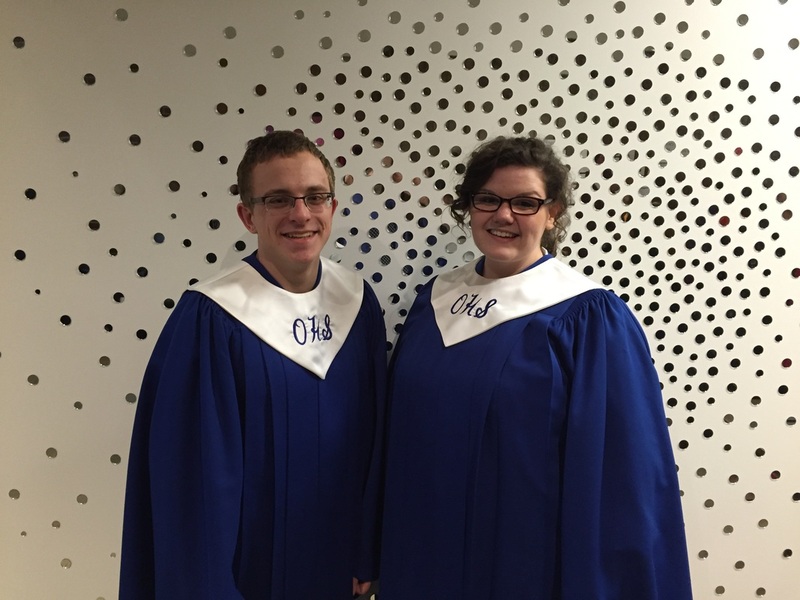 Blake Johnston and Makenzie Petersen performed this last Monday evening in the Doane College Vocal Festival Honor Choir. They joined 250 students from 70 schools in preparing and performing an amazing selection of choral pieces. Congratulations Makenzie and Blake! We are proud of you! The concert was absolutely amazing! ​Proud to be an Eagle!